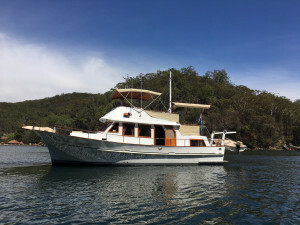 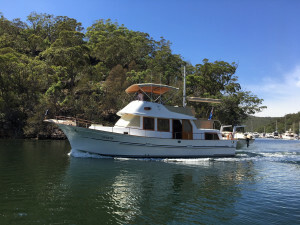 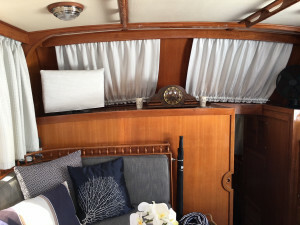 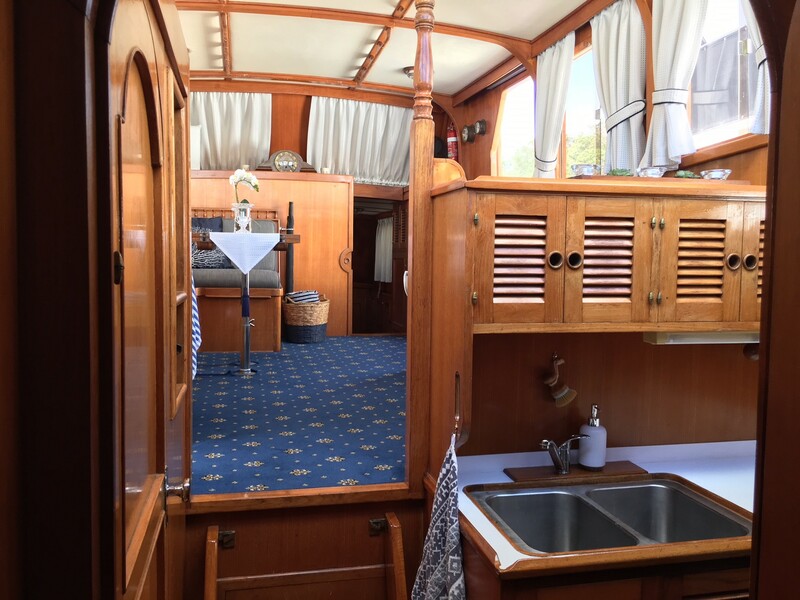 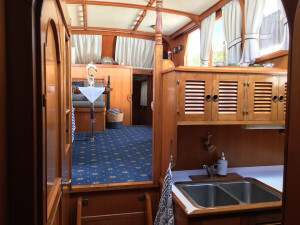 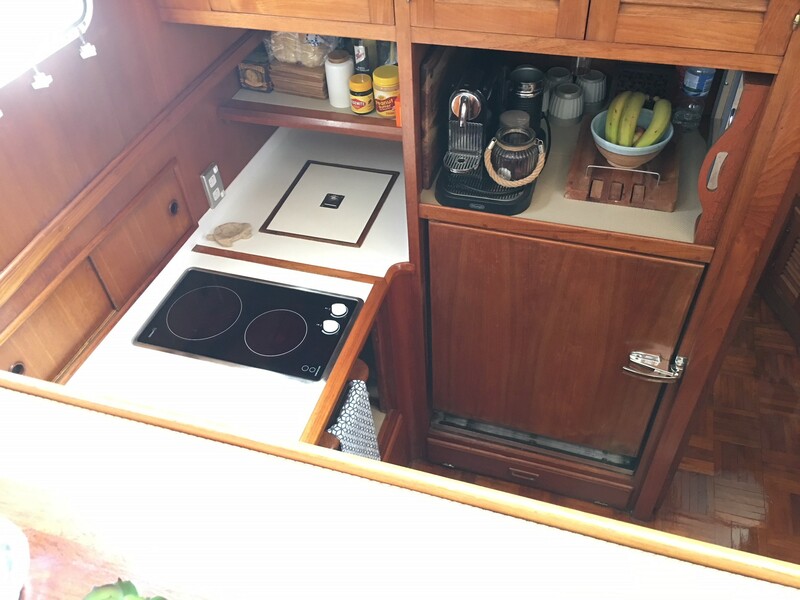 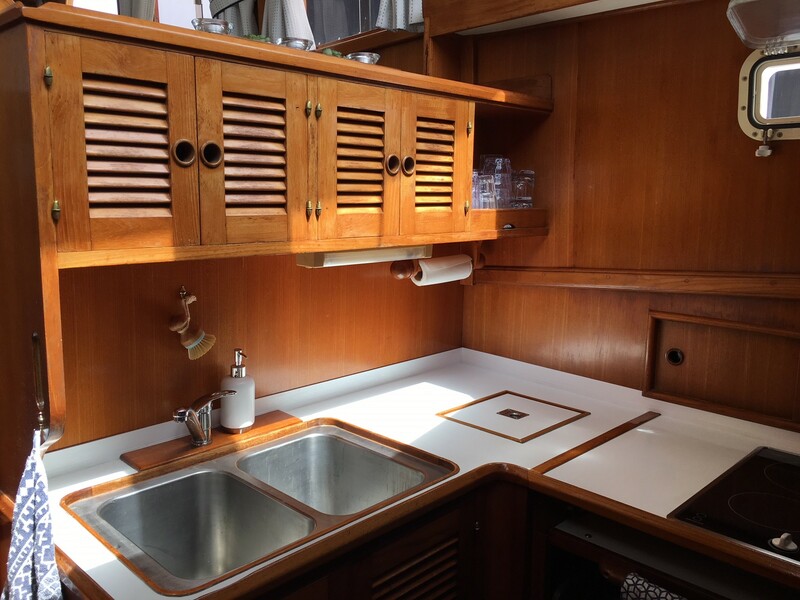 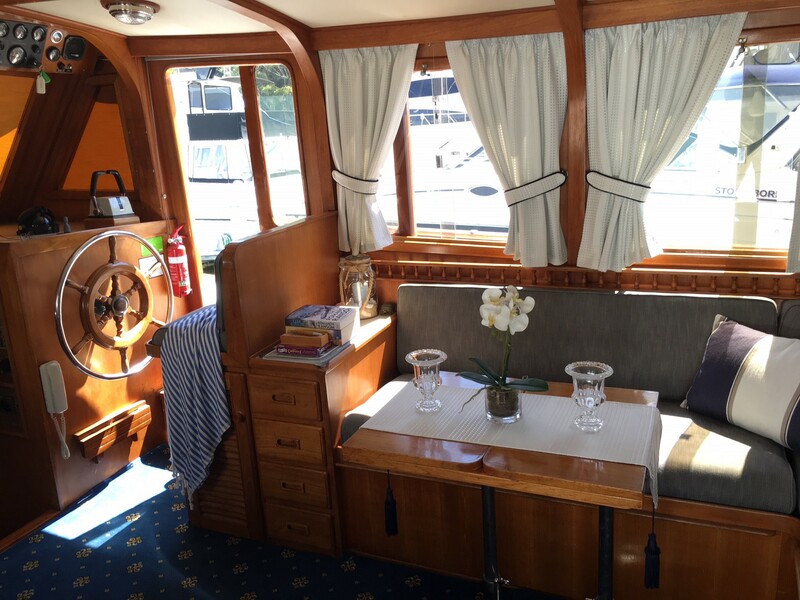 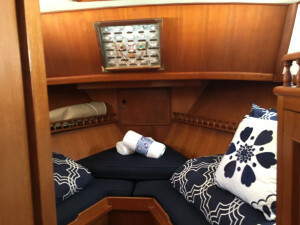 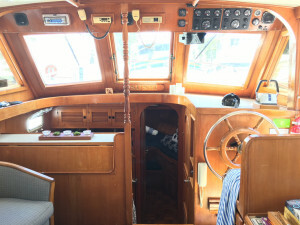 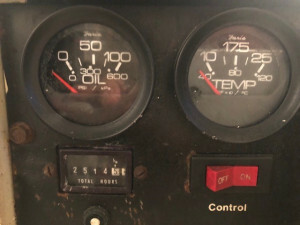 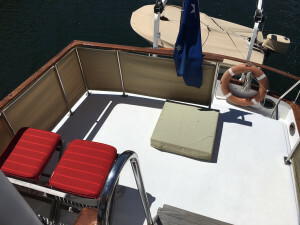 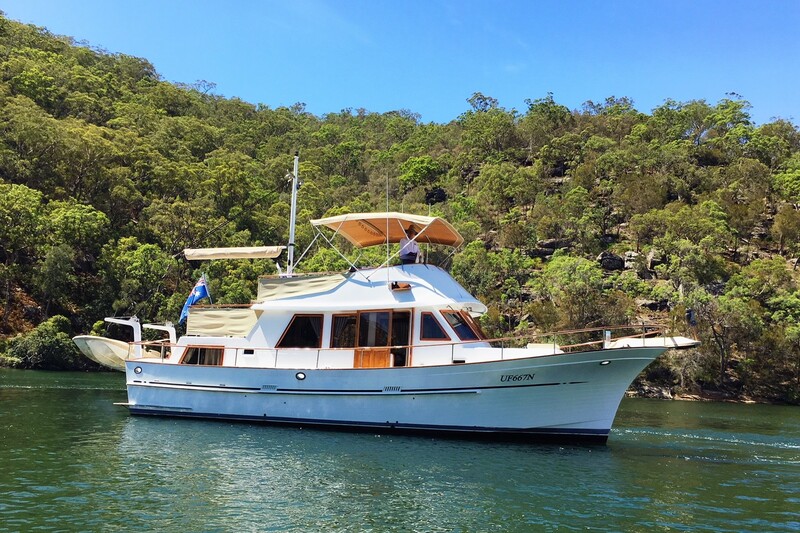 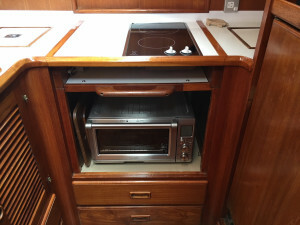 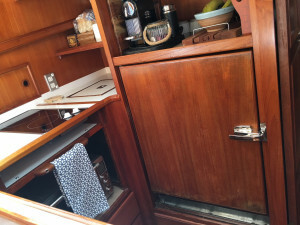 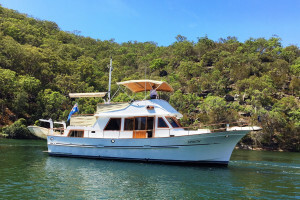 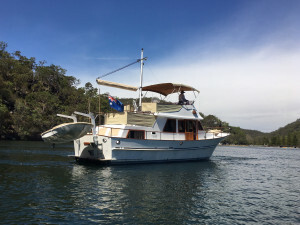 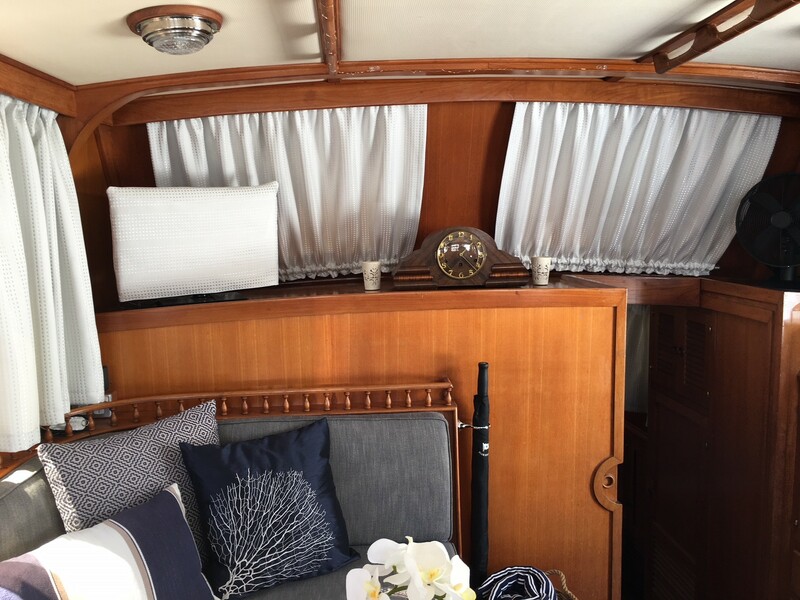 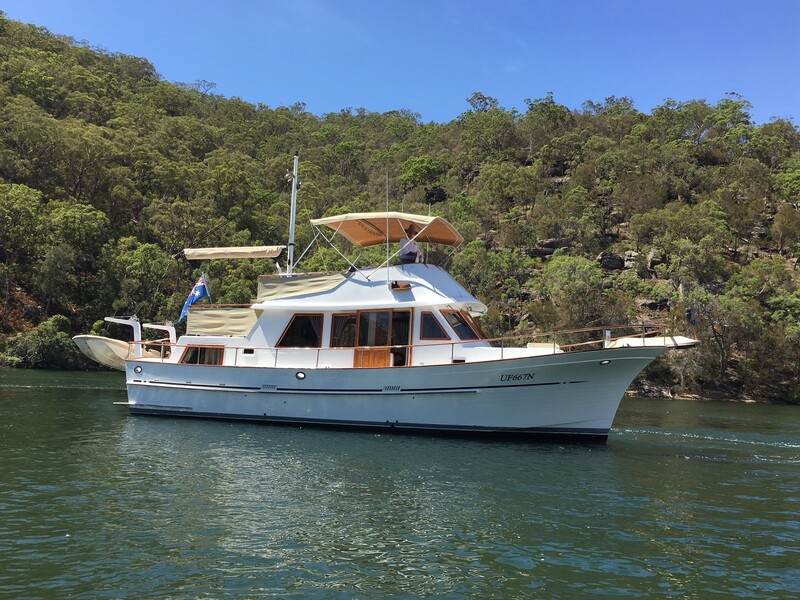 1982 Lyscrest 41 that has been restored with style and grace giving her a modern feel in a classic beauty. 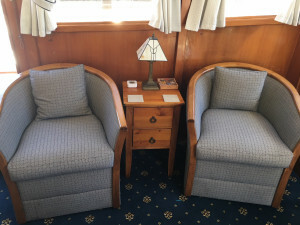 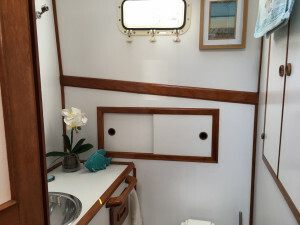 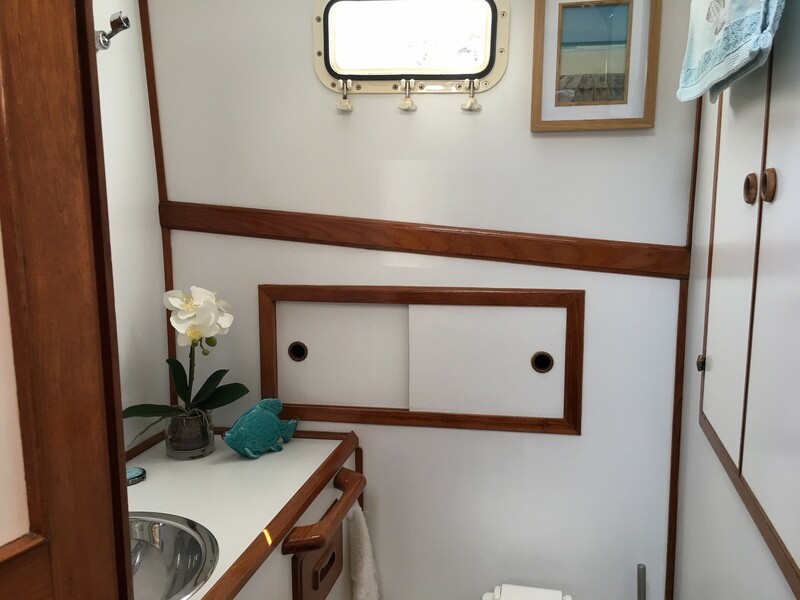 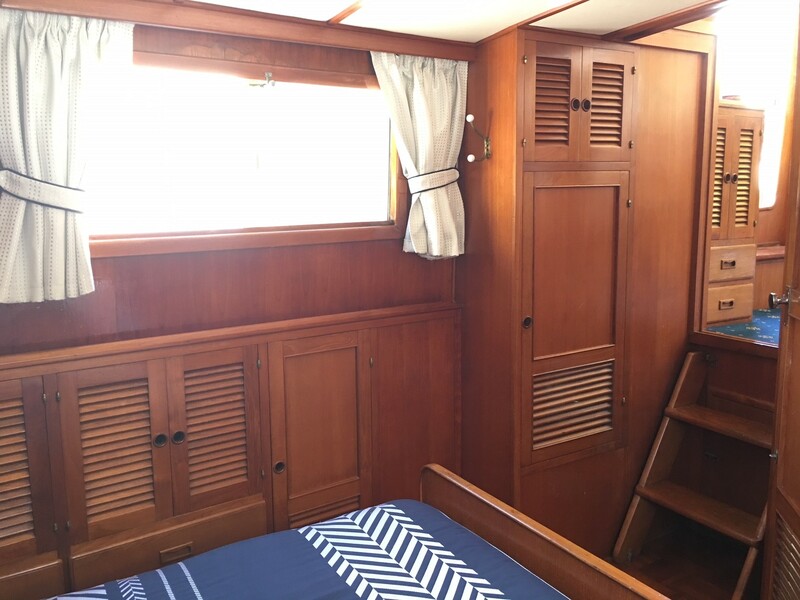 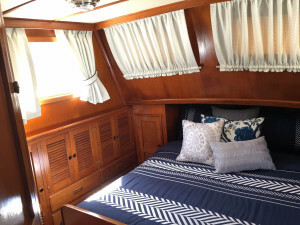 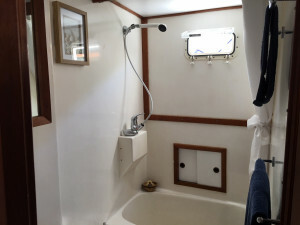 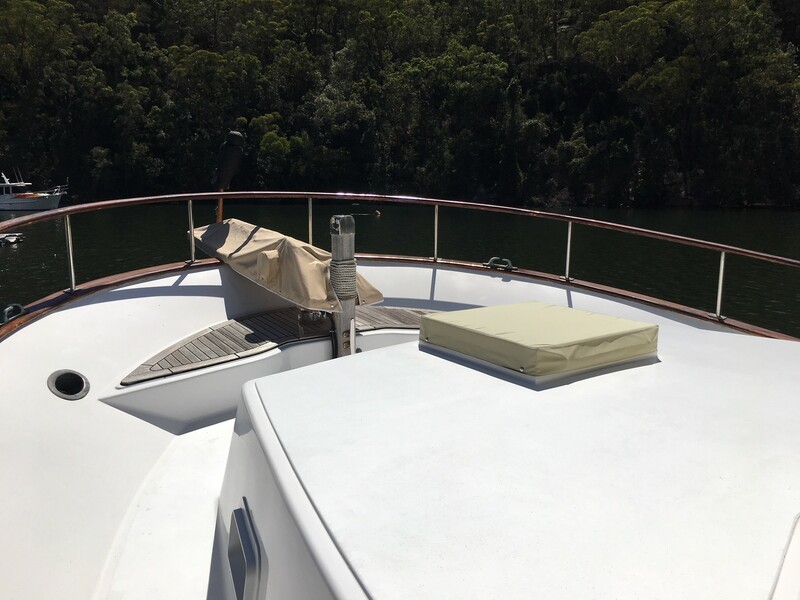 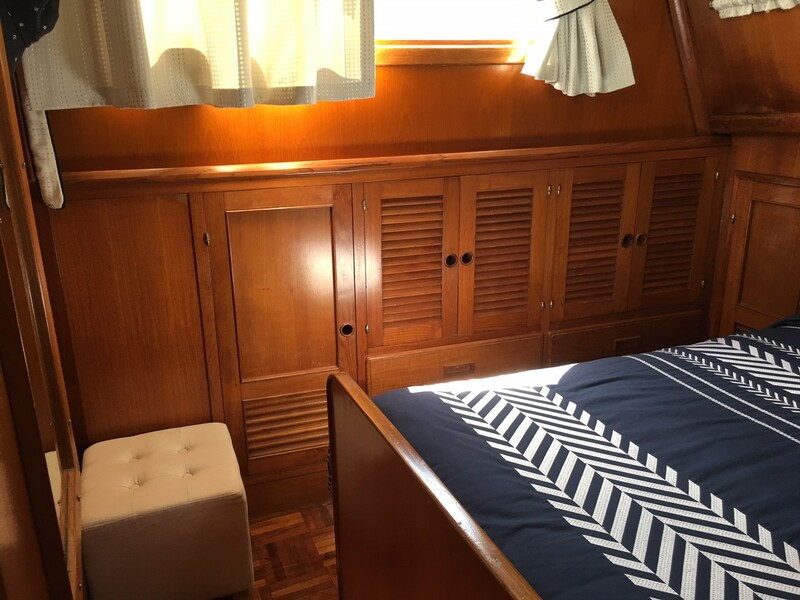 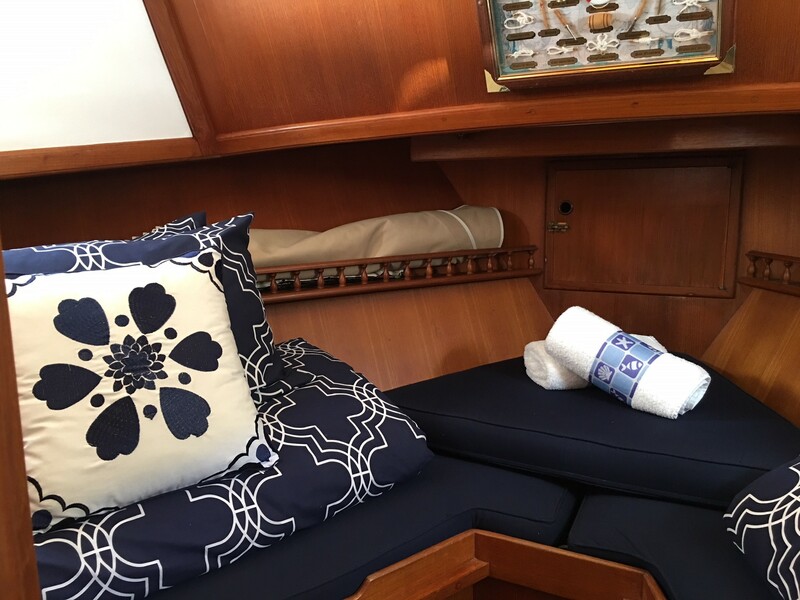 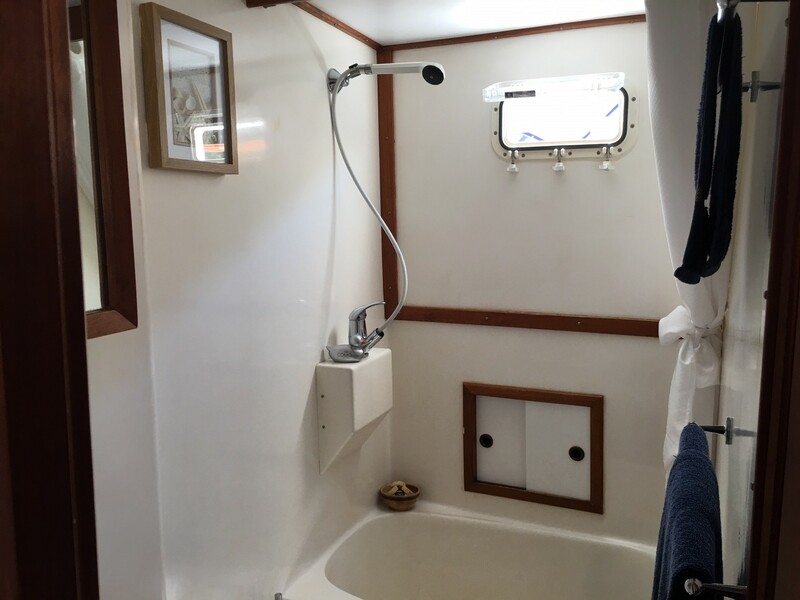 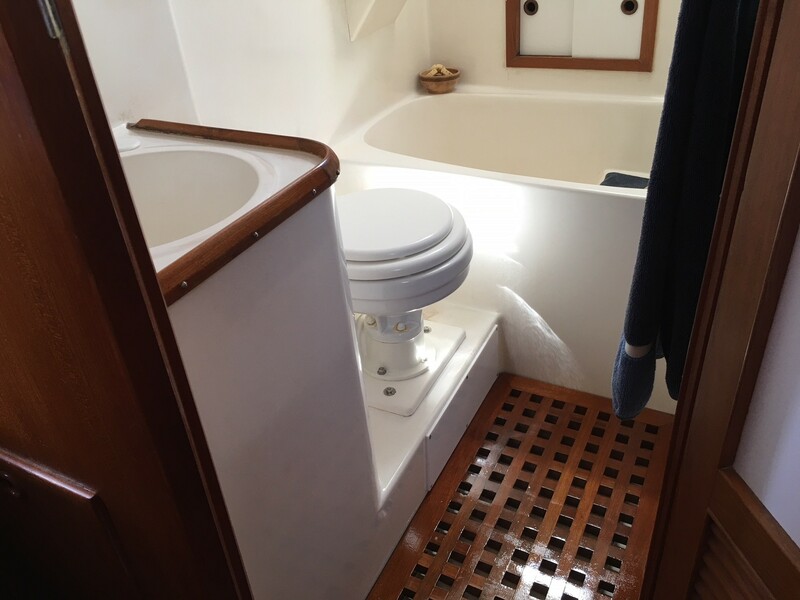 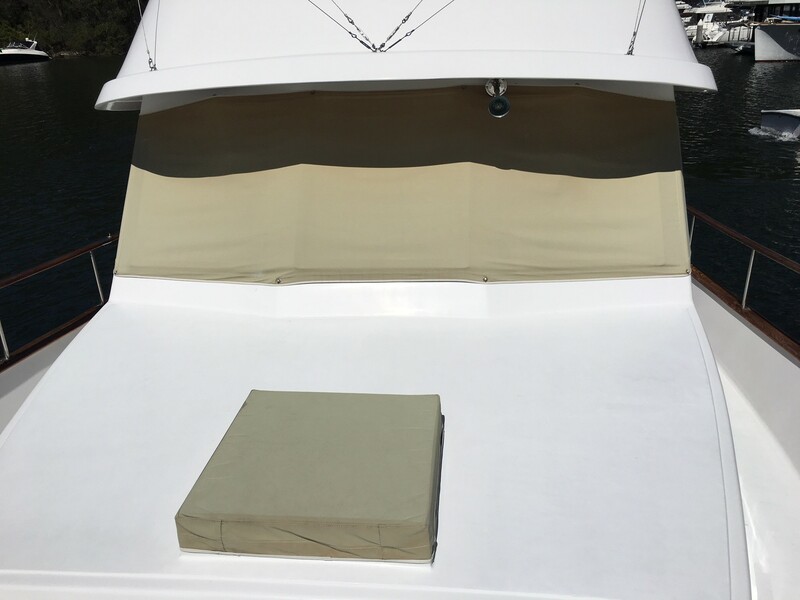 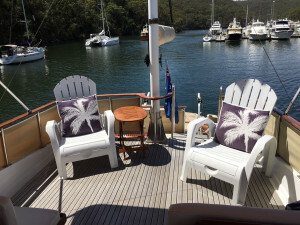 Sleeping 6 in comfort she has a generous aft cabin with Queen bed, V berth that converts to double and a comfortbale dinette conversion. 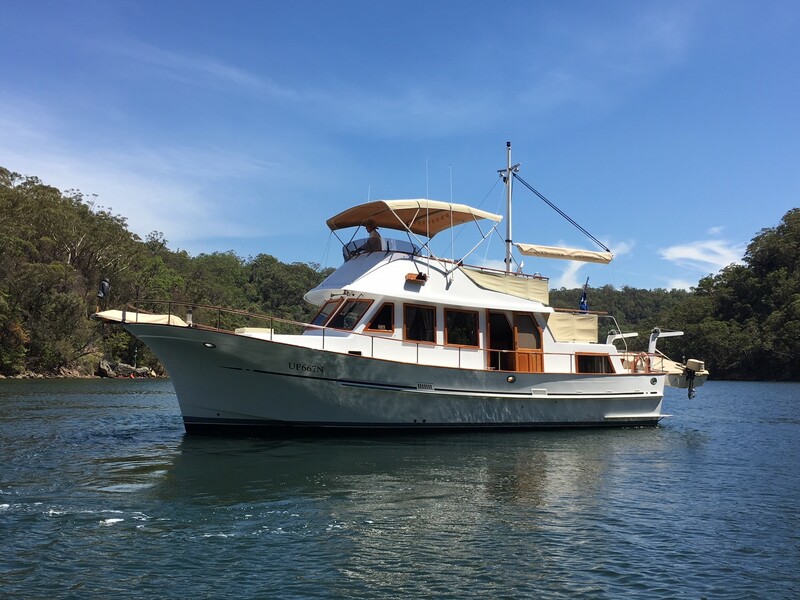 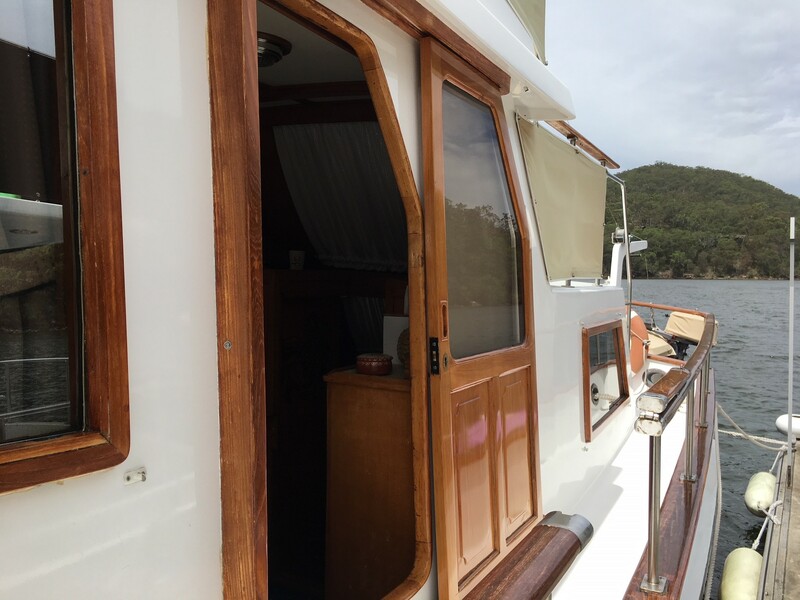 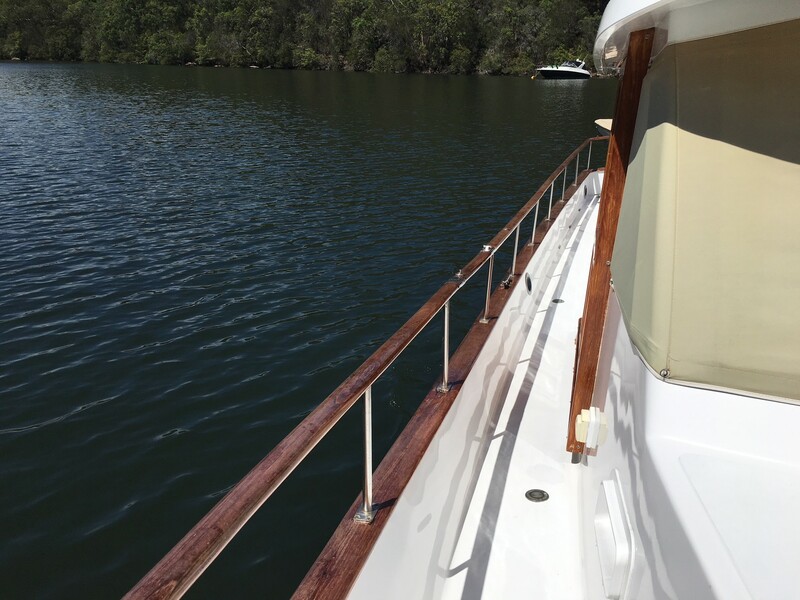 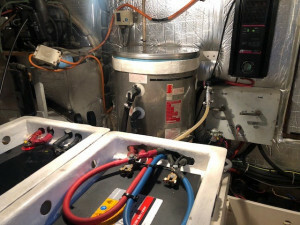 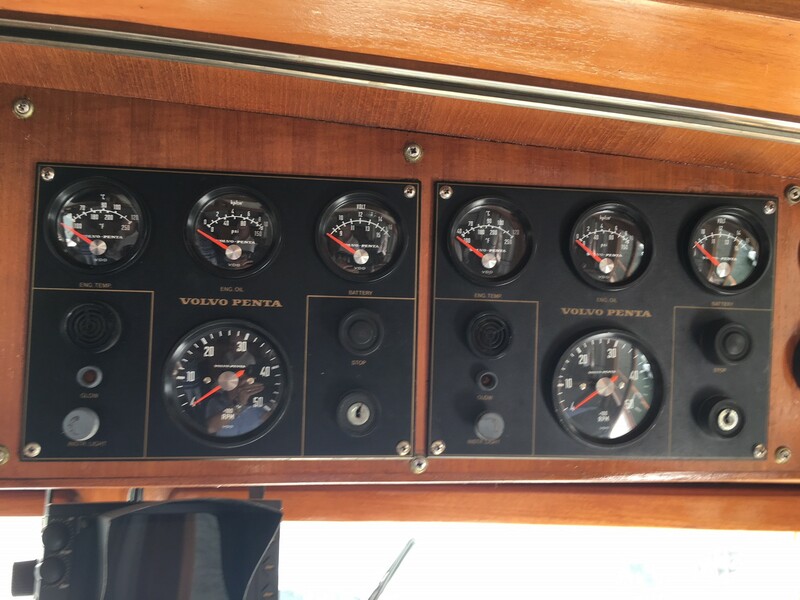 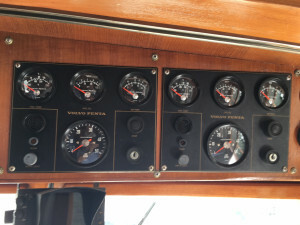 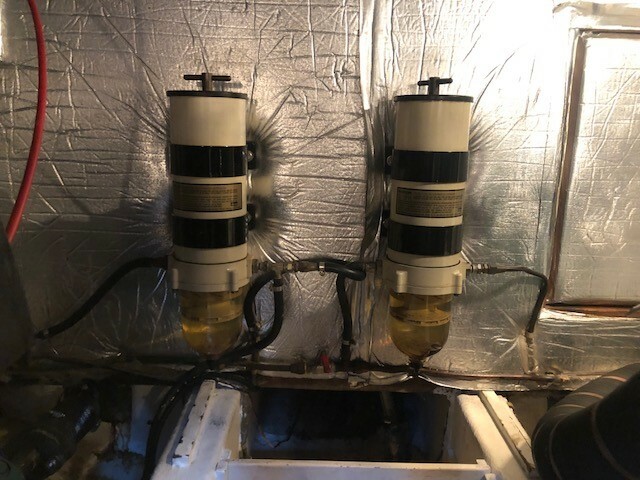 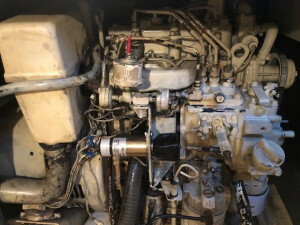 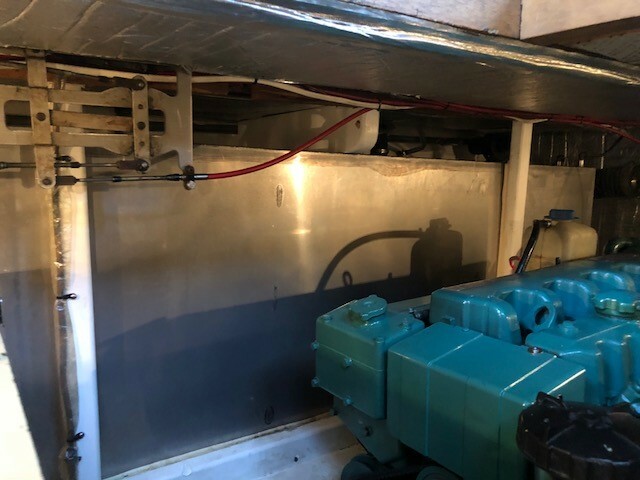 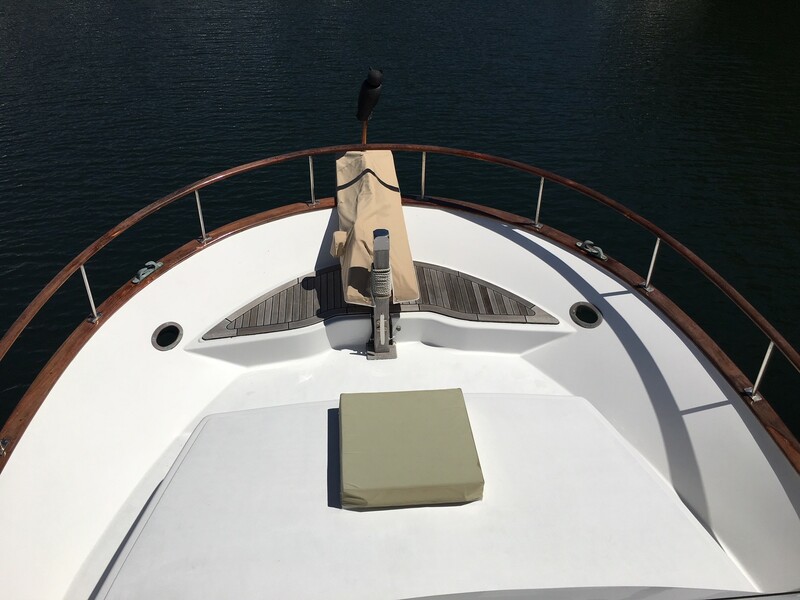 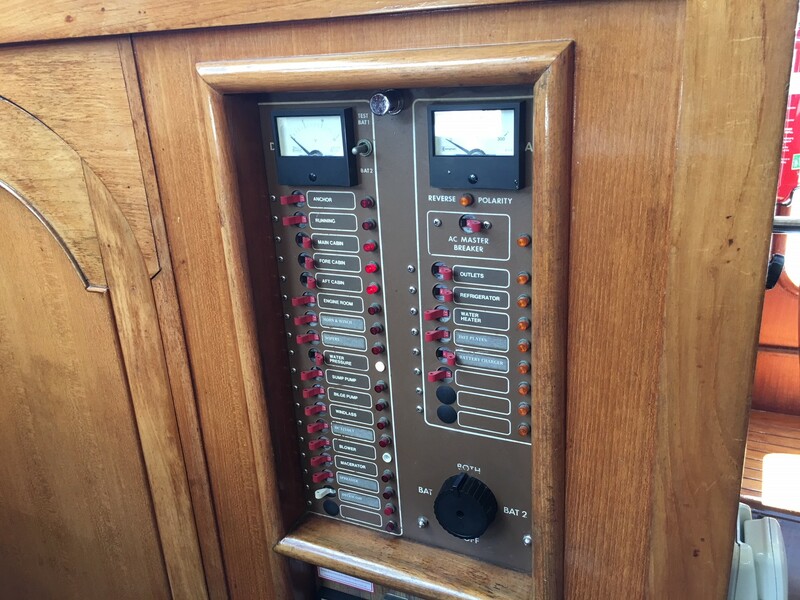 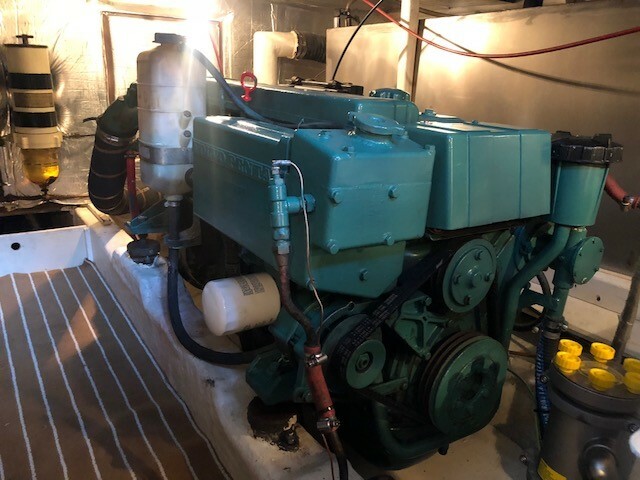 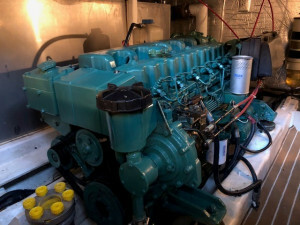 All expensive refurbishment items have been attended to, including glass to the decks except the flybridge which was relaid with teak, stainless water and fuels tanks, she has two holding tanks and 2 pak to the superstructure. Modern additions like the Breville Smart Oven beautiful fabrics and decor throughout give this vessel a lovely homely, comfortable yet elegant feel. 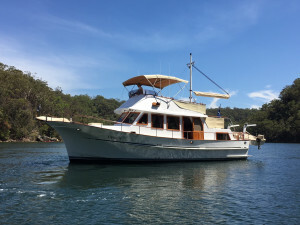 Those that see her will fall in love with her, she won't be here for long. 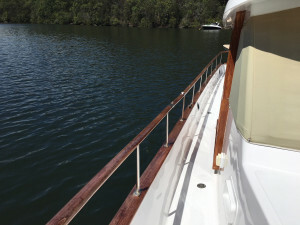 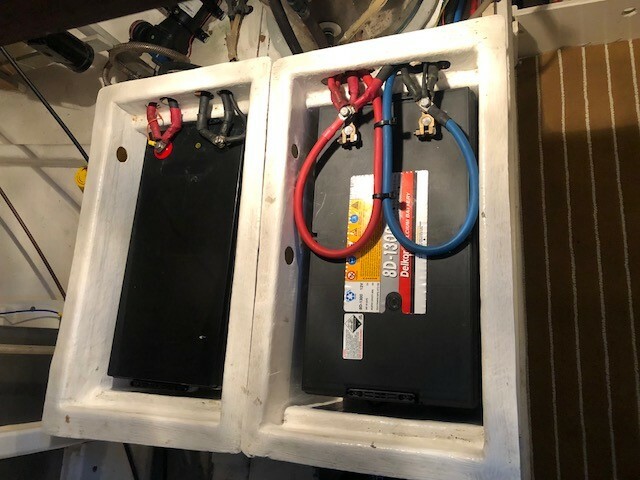 Arrange an inspection at the marina today.